Located in the state of Uttrakhand, Corbett Treff Hotel is a leading luxury resort. This resort is situated in Kumaon hills of the Himalayas, amidst picturesque locations and landscaped gardens. Known for offering world-class services and facilities, the luxury resort, Corbett Treff Hotel, Uttrakhand, India is sure to make wildlife tryst with Corbett National Park a memorable one. The hotel is located in close proximity of the park. Corbett National which is tucked in the Himalayan foothills is named after Jim Corbett. This is one of the most renowned tiger reserves in India and is also the first nature reservoir of India. The rich diversity of flora and fauna has made Corbett National Pak the breeding ground of variety of predators. The rich biodiversity of the park has been preserved for more than 50 years. 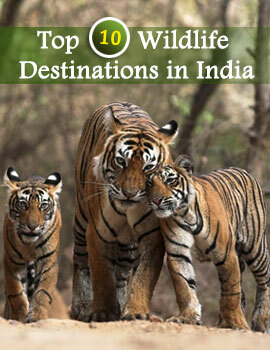 Corbett National Park is famous for attracting wildlife lovers throughout the world. Elephant safaris are must for those exploring Corbett National Park. The perfect location of Corbett Treff Hotel makes it one of the most visited hotels of Uttraranchal. Situated on Ramnagar-Ranikhet road, the nearest airport of the hotel is the Pant Nagar Airport. It is located 50 km from the Corbett Treff Hotel. On the other hand, the nearest railwat station is Ramnagar. There are 12 cottage rooms in Corbett Treff Hotel which are both spacious and well furnished. The rooms open to breathtaking view of the hills or the mystic forest. These luxury rooms come with soothing decor and excellent ambience. All the rooms are facilitated with modern amenities that cater to the different requirements of the guests. Dining at the Corbett Treff Hotel is one of the most remarkable in Uttrakhand. The restaurant of the hotel, Gol Ghar, serves an array of mouthwatering dishes of Indian as well as Continental cuisines. The general facilities of Corbett Treff Hotel are mentioned in the following list.